Tiger Woods, age 43, won his fifth Masters yesterday, nearly 11 years after his last major victory in one of the greatest comebacks in the sport’s history. Business Insider claims a gambler made an $85,000 bet that Tiger would win The Masters. The gambler won the bet and will receive $1.19 million. His odds to win The Masters were 14 to 1. Tiger won $2.07 million, has now won 15 majors. 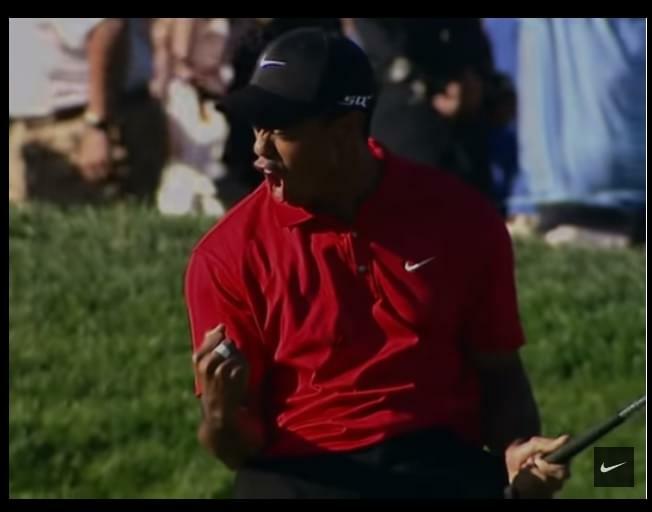 But NIKE wins the day with their preparation of Tiger winning with this commercial that was ready to go if he came out on top. He did, so this is the spot they saluted their favorite golfer with. WARNING, tears are possible when you watch this advertisement. It was truly, and ridiculously amazing comeback story.